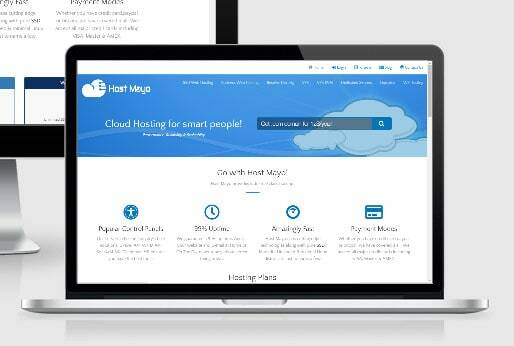 Host Mayo was founded in 2008 in the US to provide e-solutions, including web hosting to individuals and small to a medium-sized business’. Their motto is “Fastest Web Hosting the World”. They are dedicated to establishing and expanding their brand globally and aim to set up many international data centers by the year 2020. Host Mayo currently operates out of their US data centers in Dallas, TX and Los Angeles, CA. However, they plan on expanding their operations far beyond North America in the coming years. Host Mayo is on a mission is to provide lightning fast web hosting by using world-class hardware and software solutions. Although investing in the best tech, Host Mayo is dedicated to offering their services to their clients at very affordable rates. Their main focus is to help people get started online. They do this by offering their services at a low cost without compromising on quality. Host Mayo will go the extra mile to ensure that their customers get exactly what they need to make their online projects or ideas a success. Host Mayo utilizes SSD (Solid State Disks) to ensure that their servers are running as fast as possible. Additionally, they go to lengths to deploy high-quality hardware and software throughout. Host Mayo provides a stable hosting environment that ensures that their client’s online presence is never interrupted, such as DDoS protection and extra measures to ensure that everything runs smoothly, even during outages. No matter what type of hosting you need, whether you have a large enterprise size project or you are a complete newcomer – Host Mayo offers a suitable hosting solution. This includes shared hosting, dedicated servers, VPS and even reseller solutions. All of the hosting solutions provided by Host Mayo come with unlimited bandwidth. Additionally, all of their hosting benefits from SSD drives for a superfast online experience. You can choose where you want your server to be located. The current options are Chicago, Dallas, Los Angeles, or Miami. Recently Host Mayo have added a few new premium packages to their arsenal – business hosting, KVM VPS and unlimited WordPress hosting. This is great news for people who want to get started and then quickly climb the ladder with their hosting. Additionally, it allows business with higher requirements to take advantage of Host Mayo’s cheap hosting and fast tech. Host Mayo offers 24/7 technical support and they monitor their servers around the clock. This means that they can iron out any issues immediately (often before they affect the websites hosted on their servers). They offer timely support via an online ticketing system. You can also jump on their FAQ or forums if you want to find the information yourself. What I think is great is that they also offer support via Skype – this can be really helpful for web developers who quickly want to get an issue resolved. Finally, they also offer support via a direct email address, should you prefer that mode of communication. Many Host Mayo clients requested that they accept payment via bitcoin and Host Mayo responded by adding this to their payment options. This shows just how responsive Host Mayo are to their customer feedback and requests. Also, taking Bitcoin is an advanced method of payment that is not normally accepted by many hosts, thus giving Host Mayo a competitive advantage. They say that their Bitcoin payment system is still in its infancy and not yet automated, however, plans to fully automate this payment option is in the pipelines. Although their hosting packages run on the best tech and are feature rich, the prices are still kept extremely low. You can get started with Host Mayo for as little as $1 per month. The aim with Host Mayo is to provide a wide variety of affordable entry-level hosting packages. These include VPS, shared hosting and dedicated server packages that will suit any small to medium-sized project. Allowing people to start their project on a shoestring and increase their server spec as their project gains traction. The Host Mayo servers come with unlimited bandwidth and are extremely fast. All this comes with a tiny price tag. The key aim at Host Mayo is to allow people to get up and running with their online project quickly, while still delivering top-end tech. The shared hosting packages with Host Mayo come with cPanel and unlimited bandwidth. Their starter package starts at just $1 per month. Below I will outline the 4 shared hosting packages that are available with Host Mayo. Host Mayo keeps their customers in the loop by posting regular updates in their blog. For example, they have recently announced that they are now offering premium hosting packages such as business web hosting and KVM based VPS. They are also going to be lowering their reseller packages to make them more affordable. The new KVM based VPS packages with Host Mayo are a great professional solution for advanced users. KVM or Kernel-based Virtual Machine is an open source virtualization technology built into Linux®. KVM allows you to turn Linux into a hypervisor that allows a host machine to run multiple, isolated virtual environments called guests or virtual machines (VMs). Host Mayo offers a wide range of hosting packages – too many for me to even mention in detail in this article. They are continually evolving their offering to offer bigger and better packages for lower and lower prices. Host Mayo is a great host for small business’ – however in light of their recent advancements – they are now also a great solution for those looking for powerful solutions at affordable prices.